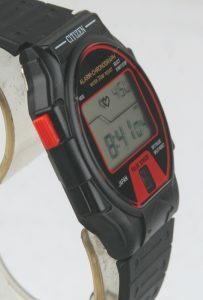 CONDITION : USED / EXCELLENT / CRYSTAL HAS A FEW TINY SCRATCHES / CASE HAS SOME MINOR SCRATCHES / NEW BATTERY INSTALLED. 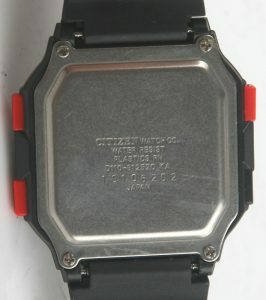 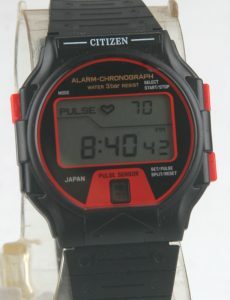 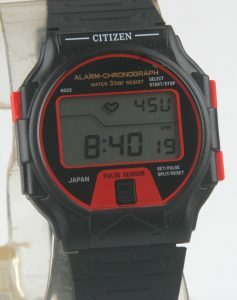 MODE : TIME/CALENDAR, PULSE SENSOR, ALARM 1,2 , STOP WATCH. 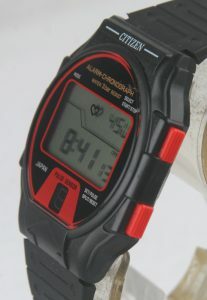 BAND : NEW AFTERMARKET RUBBER BAND FIT NICELY WITH THE WATCH.